This bird is notoriously skittish and hard to approach. This photo was taken from just 25 feet away (Rocky Rockwell). 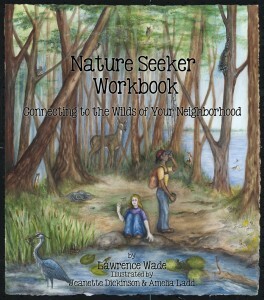 Thanks to Rocky Rockwell of www.northwestnaturalimagery.com for the use of this wonderful photo. What to do: Click on the “Start” button below to take the Birds Quiz. Read the hint for each bird and then guess its name. Thanks to Roy Toft @ Toftphotography.com for the use of this striking photo. 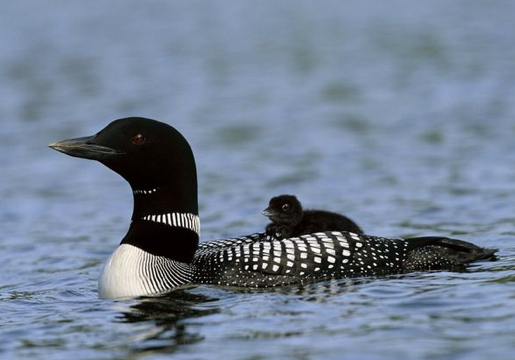 This bird is the Minnesota state bird. It is a diving bird and feeds on small fish. 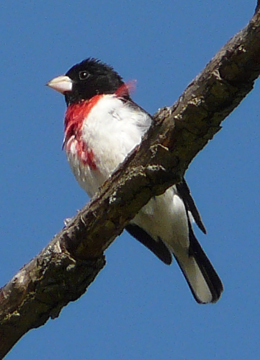 This bird is the smallest bird in the upper Midwest. Its eggs are the size of a pea. It has very fast wing beat (50 beats/sec). 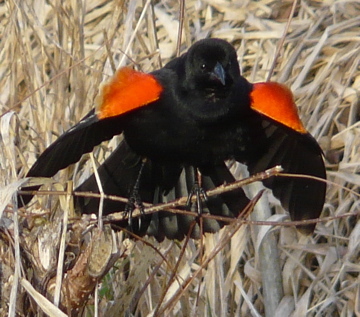 This bird's spring call is "see-see-here-here-Peter-peter". 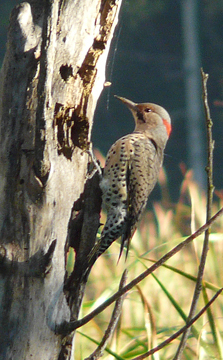 In the sunlight, its feathers are iridescent. 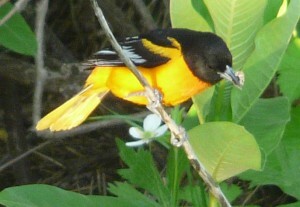 It migrates later than most other birds. 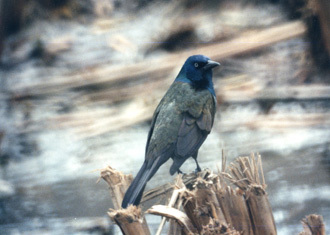 This bird is seen in large flocks in the Spring and Fall. 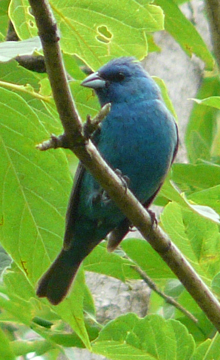 It is an iridescent color, when seen in the sun. 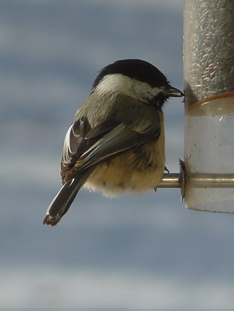 Many people don't like this bird because it chases other birds away from the bird feeder. This bird is migratory. It feeds on ants on the ground, but nests in trees. 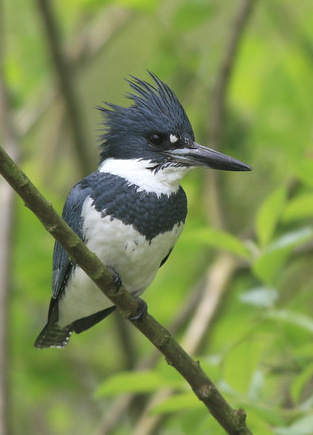 There were Native American clans named after this bird. 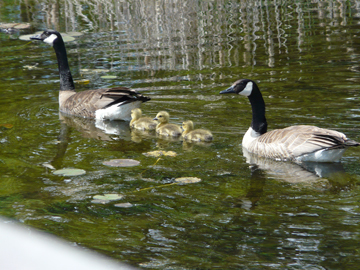 This species of waterfowl is over- populated in much of the upper Midwest. They are one of the first migratory birds to return to the upper Midwest. 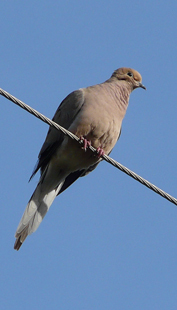 This bird's name is similar to the way it looks. The name of this bird is its call. This bird's call is a sad "coo-coo" . 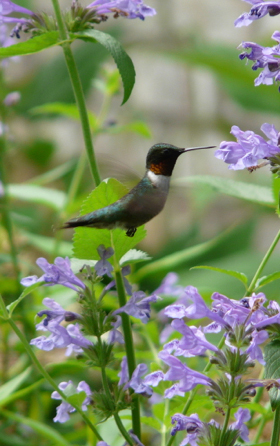 It is commonly seen and heard in neighborhoods. This bird says its name. It nests on the ground. This bird makes a beautiful nest in cottonwood and elm trees. 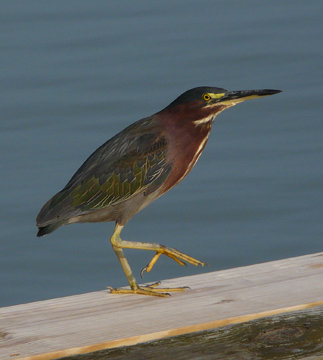 This is a small wading bird. This bird changes color from winter to spring. It remains in the upper Midwest all year. 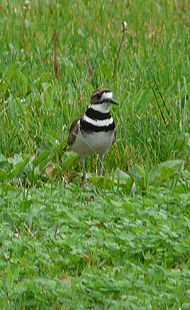 This bird is found near water and has rattling call. Time to get outside and turn off that TV. 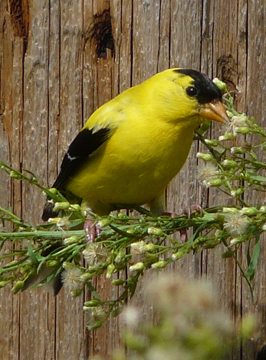 Go to the Spring Birds Program and take the tutorial. Then come back and take the quiz. You know some of the birds and with a little more work you can do even better. You are a birdwatcher, way to go!